The Exocet 3″ Lift Kit from Paco Motorsports – An easy way to add 3″ of lift to your Exocet Off-Road for improved clearance and more fun. The Exocet 3″ Lift Kit by Paco Motorsports provides an easy way to lift your Exocet Off-Road and still retain Mazda Miata-based suspension. 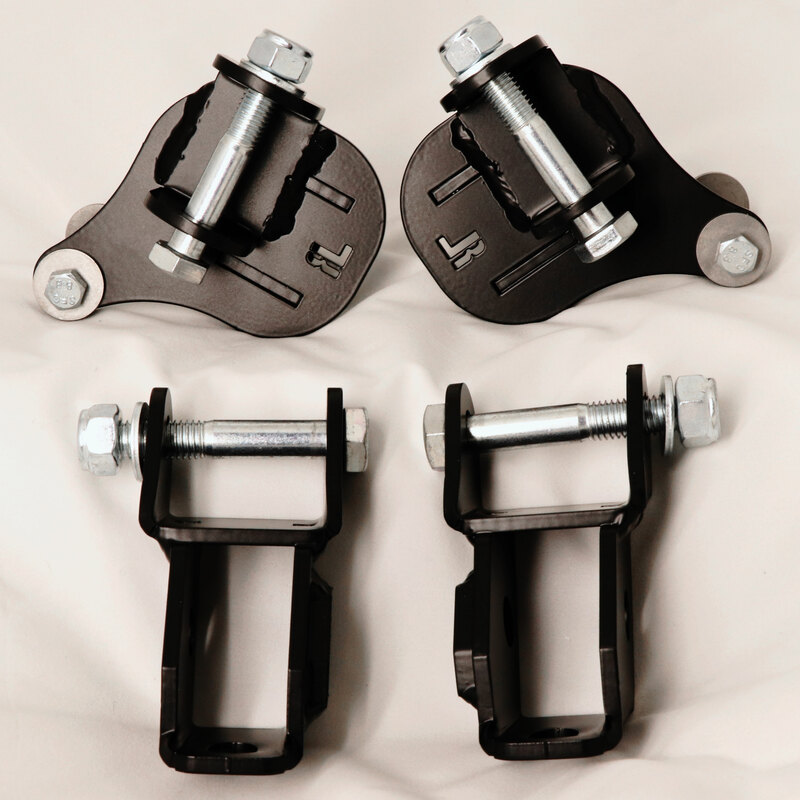 The kit, comprised of a fabricated bracket installed at each corner between the lower control arm and your existing shock assembly, is very simple to install and takes mere minutes to achieve. You can switch from off-road mode back to street/track mode in very little garage time. The perfect way to give your Exocet it’s first off-road experience or take on your local rallycross. After installation, your alignment will change slightly, mostly the camber settings, and it may or may not be an issue, depending on how and where you’re planning to drive your Exocet. This kit does not add any wheel travel and is still subject to the limits of your existing shocks/springs.